The second Leamington Underground Cinema festival took place from the 7th to the 11th of October 2014 at venues around the town. The full programme is detailed below – details of all films screened can be found in the printable programme. 4. We charge no more than £5 (including any booking fees) for entry to individual events. 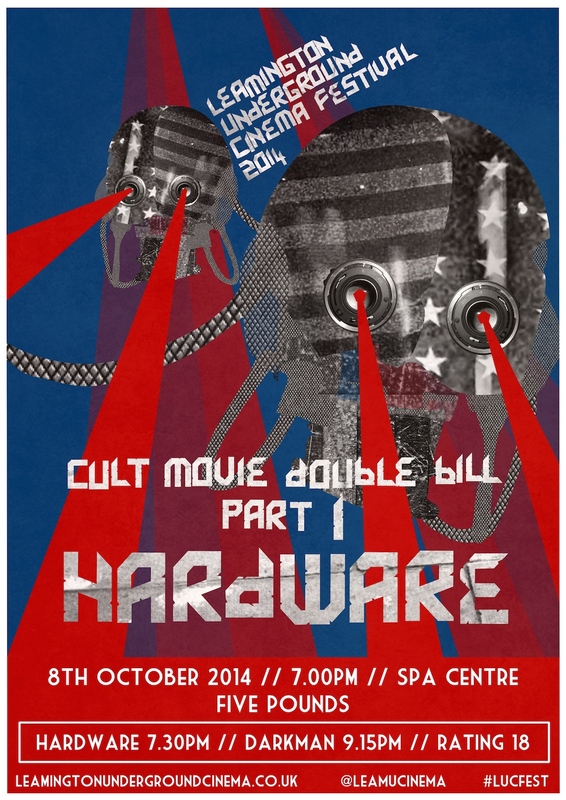 This very special movie double bill is part of the Leamington Underground Cinema Festival 2014. Join us for two darkly entertaining cult gems from 1990 – a time when visionary directors like Richard Stanley and Sam Raimi didn’t have to water down their films to make sure of a 12A rating. In addition to these two great movies, there will be a short selection of underground shorts competing for the Aspect Consultants LUC Short Film Prize 2014 and an intermission to stretch your legs. HARDWARE (1990) is an amazingly stylish post-apocalyptic sci-fi horror movie. The plot involves the seemingly shutdown head of a army robot which reactivates and rebuilds itself after it is used in an art installation – violent problems ensue. An overlooked masterpiece with a belting soundtrack and cameos from Lemmy and Iggy Pop – this is not to be missed. DARKMAN (1990) Made between Evil Dead 2 and Army of Darkness, this twisted superhero tale contains bucketloads of Sam Raimi’s inventive camera tricks and hallucinogenic visuals. Liam Neeson has never been better than he is in the title role: an unhinged, genius scientist taking cunning revenge on the gangsters who burned him alive and left him for dead. Ever wanted to get into arts journalism, but wondered how you might go about it? Writer and broadcaster Mike McCahill discusses his career as a film critic – both in print for the Guardian and Telegraph and online for MovieMail – and dispenses useful practical tips for aspirant scribes in what’s guaranteed to be a lively and informative event. 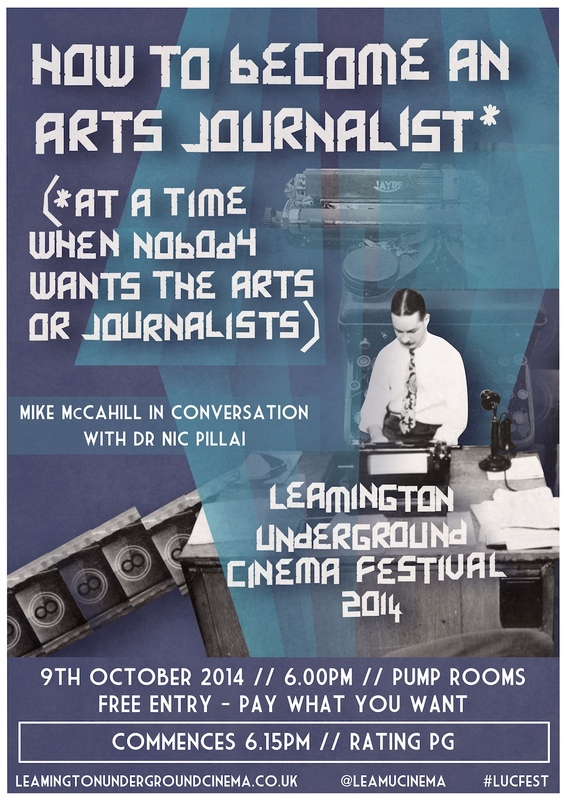 Mike will be in discussion with Dr Nic Pillai – a lecturer in Film and Television Studies at the University of Warwick. His book Jazz as Visual Language: Film, Television and the Dissonant Image will be published by I. B. Tauris in 2015. There are bad films, there are terrible films, there are the sort of films that make you want to go and live in a cave with only the angry voices in your head for company… then there is BIRDEMIC: Shock and Terror. Ostensibly your average straight-faced romantic drama monster disaster movie (with a subtle environmental subtext). 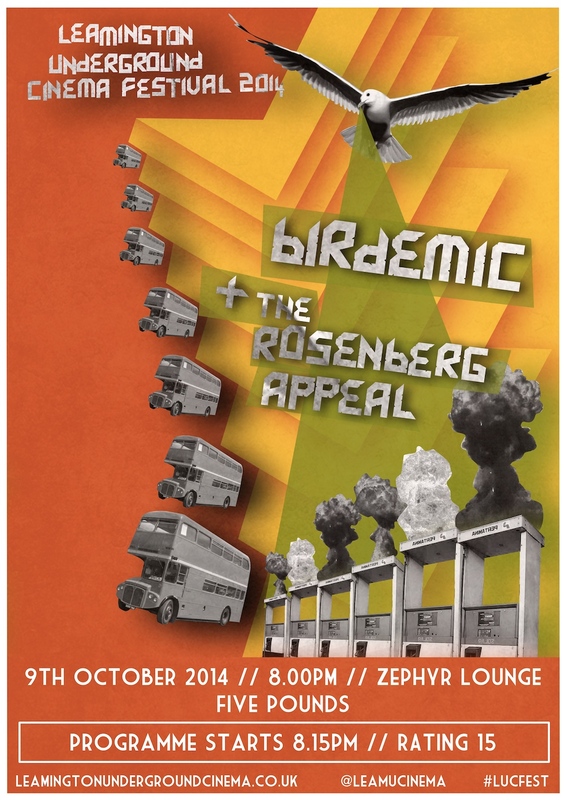 Birdemic is the tale of star-crossed lovers Rod and Nathalie caught up in a terrifying plague of killer birds. This is a film so intrinsically, hilariously flawed in every possible way that it has to be seen to be believed. THRILL! To the infamous boardroom clapping scene that goes on for far too long. Prior to this complete masterpiece, Leamington musical sensation The Rosenberg Appeal will perform an exclusive set for your musical enjoyment. 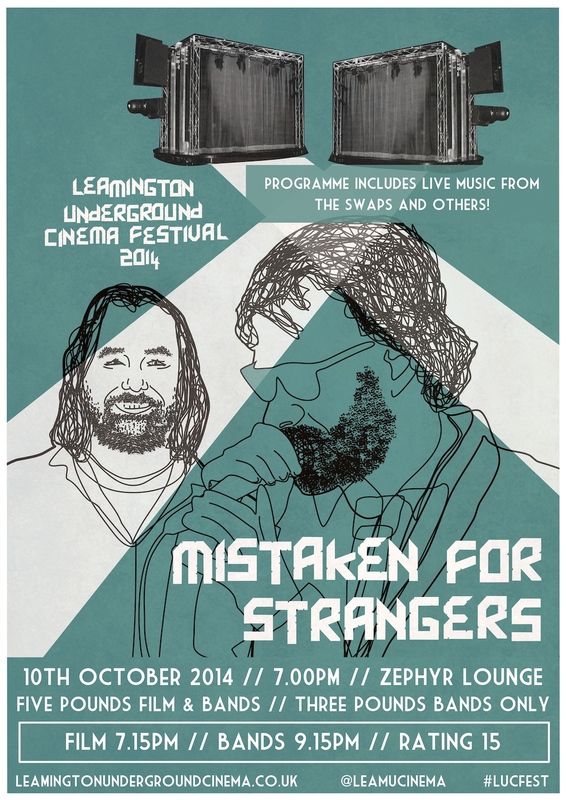 A special screening of the brilliant Mistaken For Strangers followed by live music from local musical heroes. Mistaken For Strangers is a cool and wry music documentary, in which Tom Berninger chronicles his time spent on the road as a member of the tour crew for The National, the famed indie band fronted by his brother, Matt. Following the film, there will be live music – headlined by Leamington’s very own blues heroes The Swaps, plus other musical guests! The Awards Ceremony for the first ever Leamington Underground Cinema video game prize, supported by our brilliant sponsors Emerald IT Managed Services. Your host Frankie Griffiths will showcase each of the finalists and the lucky winner will be walking away with the trophy and £500. Following this glittering awards ceremony – there will be a special bonus feature screening of the fantastic ‘The King of Kong: A Fistful of Quarters’ – in which two wildly different men (one a softly spoken school teacher, the other an egomaniacal hot-sauce millionaire) compete for the world record on the brutally difficult Donkey Kong arcade game. 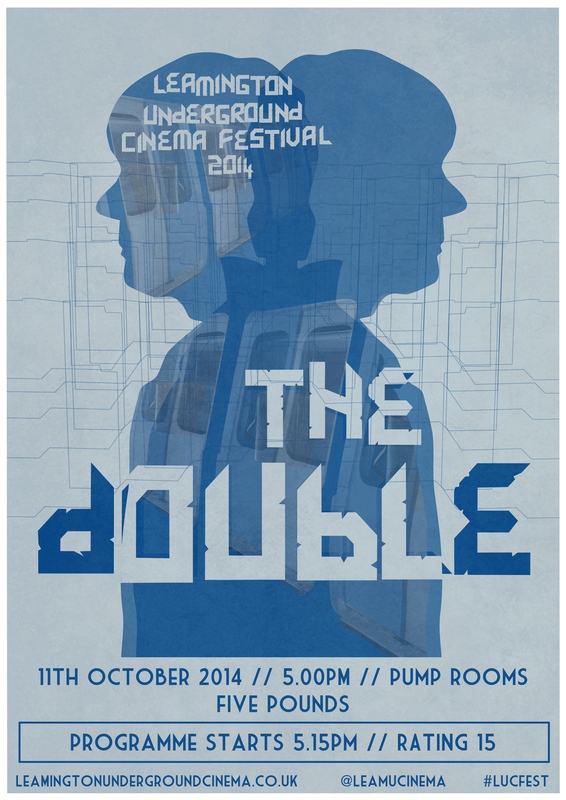 LUC presents Richard Ayoade’s brilliant dark comedy The Double in the grand surroundings of Leamington Spa’s famed Royal Pump Rooms. Join us for this fantastically stylish film based on Dostoyevsky’s novella – featuring a great pair of performances by Jesse Eisenberg at the centre of an incredible cast and an atmospheric and moving soundtrack. 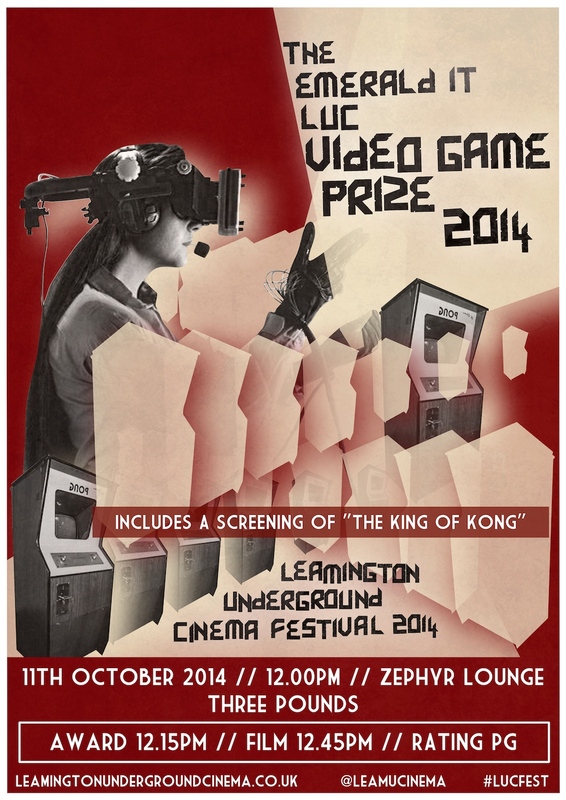 The Leamington Underground Cinema Festival will arrive at a shuddering climax on the evening of 11th October 2014. 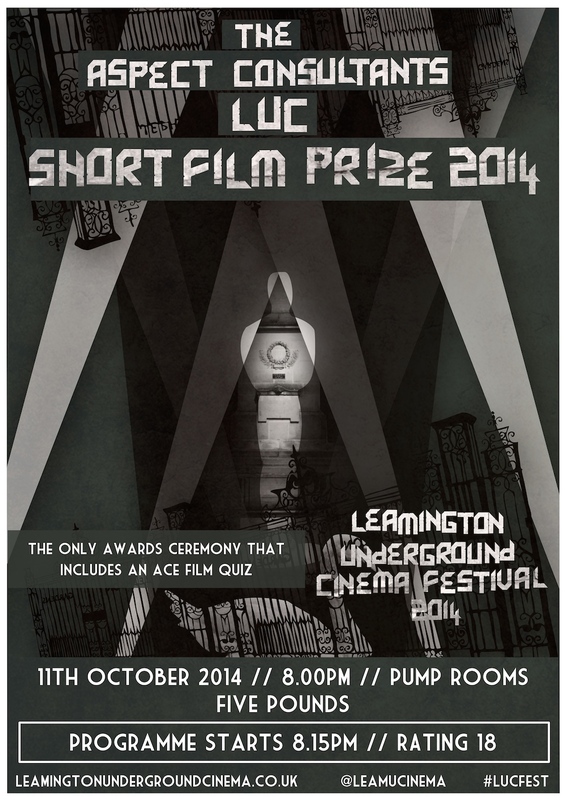 Join us at Leamington Spa’s renowned Royal Pump Rooms for the Aspect Consultants LUC Short Film Prize 2014. Nearly 1800 films were submitted to this year’s festival – we will be screening the very best and awarding one of them with this year’s prize and £1000. But that’s not all. LUC is (as far as we know) the only film festival that throws in a film quiz at our awards ceremony – you don’t get that at Cannes. Between the on screen action, host Frankie Griffiths will test your cinematic knowledge with some great film related prizes on offer. Which are the shorts that will be screened?